The exhibition of US military equipment on the city’s Great National Assembly Square on Sunday was presented as part of the V-Day celebrations, but instead provoked hundreds of protesters to take to the streets in outrage. Protesters also reportedly handed out St. George ribbons, a symbol of victory in post-Soviet states, to the American soldiers before the exhibition, which saw about two dozen infantry, engineering vehicles and military trucks being showcased to the public. However, soon after the protests began, the exhibition was rolled up, and the US troops returned to their stationing site in Negresti, some 20 kilometers outside Chisinau. 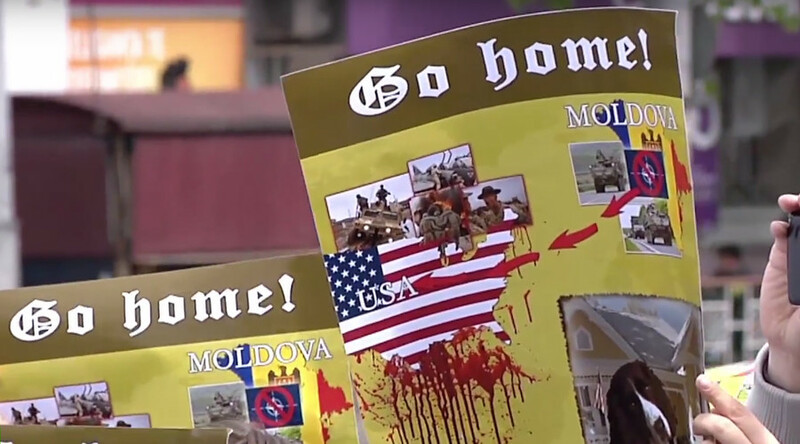 The activists lashed out at the government for what they believe was an attempt to drag Moldova into some kind of a military confrontation, demanding that the government adhere to its neutral status. “Moldova is a peaceful and neutral state. We take part in no military blocs and don’t want war. We saw what happened in Yugoslavia, Libya, Syria. If you don’t go before tomorrow, there will be thousands of us here,” stressed Vlad Batrîncea, a Moldovan MP from the Party of Socialists, as cited by TASS. Last week, the country’s president, Nicolae Timofti, also took a stance against the demonstration of US military prowess on May 9, on which the celebrations were scheduled, while confronting Moldovan Defense Minister Anatol Salaru in a letter published on Wednesday. — RT (@RT_com) 25 апреля 2016 г. 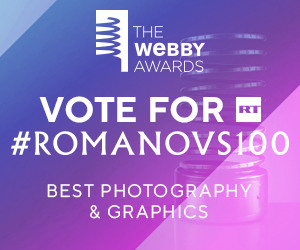 “A joint display of US and [Moldovan] military hardware may cause negative interpretations and speculations not only in a certain segment of the population but also among Moldova’s partners who have not been invited to participate in the show,” Timofti said. In the run up to V-day, the Immortal Regiment march was held in Chisinau on May 6. The participants held up pictures of their relatives who fought in WWII as a part of worldwide public action honoring victims of the war and celebrating victory over Nazism. A similar march is set to take place on May 9. About 200 US soldiers from the 2nd Cavalry Unit have been deployed in Moldova since May 3 to take part in NATO’s Dragon Pioneer 2016 exercises that will last till May 20. They have been joined by 165 Moldavian servicemen. 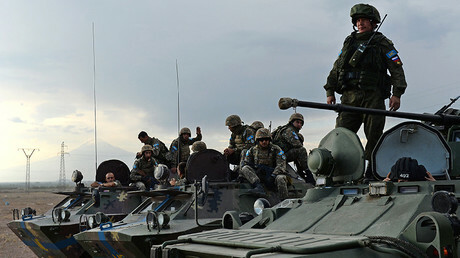 Fifty-eight military vehicles from the US side are expected to take part in the drills. The maneuvers will concentrate on medical treatment and evacuation, field maintenance, and basic demolitions. “It’s perfectly cynical attempt to distort the past for the sake of serving political purposes of the present," he said referring to attempts by the American politicians, including to U.S. President Barack Obama, to portray the US as the key member of the anti-Hitler coalition whose actions were critical to the defeat of Nazi Germany. The alliance’s “only purpose of existence is to turn Russia into a threat,” he concluded.